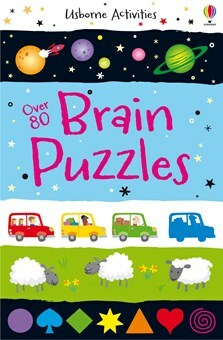 A pocket-sized book packed full of fun, mind-bending puzzles and games. Children can put their brain power to the test by figuring out a pattern puzzle, doing space sums on Saturn and solving riddles. Full of colourful illustrations and space to draw, colour and complete the brain teasers, this book is perfect for long journeys and other quiet times. Includes a page of answers at the back of the book.